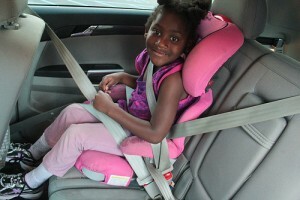 As the father of a growing girl I am interested in the world of child safety seats for the first time ever. I actually already own one but I can’t work out how to make the blooming thing work. No one told me that this could be a problem. I kind of assumed that you strapped the wriggling little lady into the seat, handed her a plastic dinosaur and drove about without any hassles. Now it turns out that I can’t seem to connect the seat to the car. And I don’t even have a plastic dinosaur to give her. It seems I am not alone though. I had kind of hoped that other people had suffered from the same kind of problem but my tentative attempts to bring up the subject never led me anywhere. Then I got a stroke of good luck yesterday when I found out the type of news which always makes me feel a bit better; it is someone else’s fault. I love it when I realise that my own failings and incompetence are beaten by another person’s and here we have a classic case of someone being sillier than me. A study by those nice people at Which? has revealed that a lot of High Street shops give out misleading and even dangerous advice to parents. Mystery shoppers were out and about asking about child seats in Mothercare, John Lewis, Mamas & Papas, Babies R Us and Halfords. The results make for pretty bad reading, as the shop staff missed out important questions like what model of car the seat is to be used in. In fact, none of the different chains managed to give the right advice in more than 2 of their stores. I might have the odd rant about other things but this is a serious business. The big name shops need to give parents the right advice to keep their kids safe. Now, if they want to make it up to me and keep me happy then they can send me through a free plastic dinosaur if they like. This entry was posted in News and Views and tagged car, ford, High Street, It Wasn, John Lewis, LS, Mamas Papas, MoT, seat by Robert Bell. Bookmark the permalink.